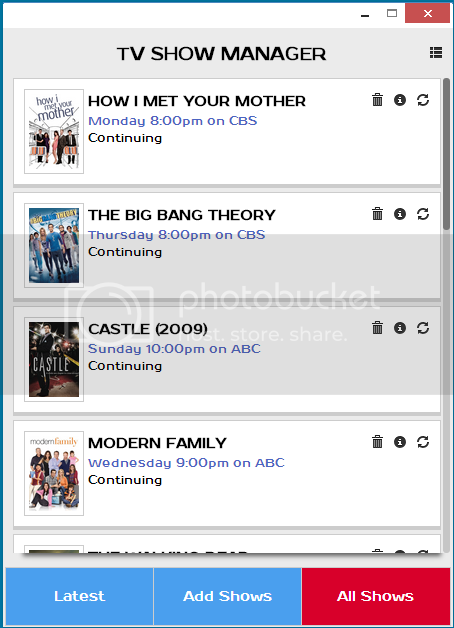 TV Show Manager is a chrome app that can be used to track your favorite TV shows from the US TV channels. 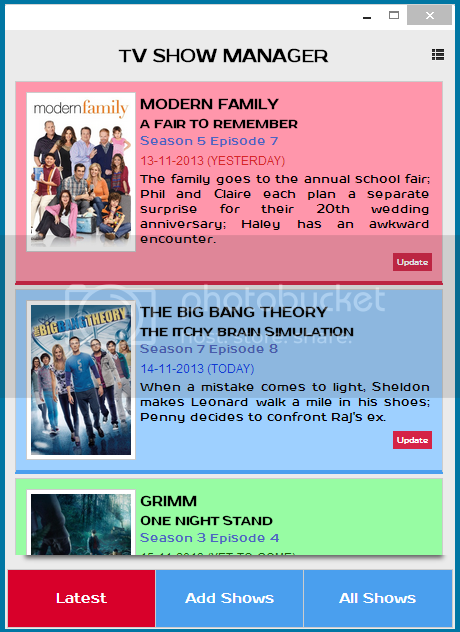 You can add your favorite shows and then get the details of each and every episode. 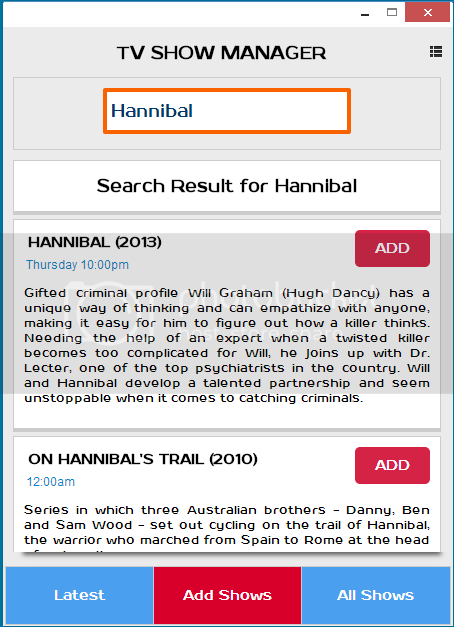 You can track when the new episode of a show is coming and also get an overview of what will be happening in that particular episode. 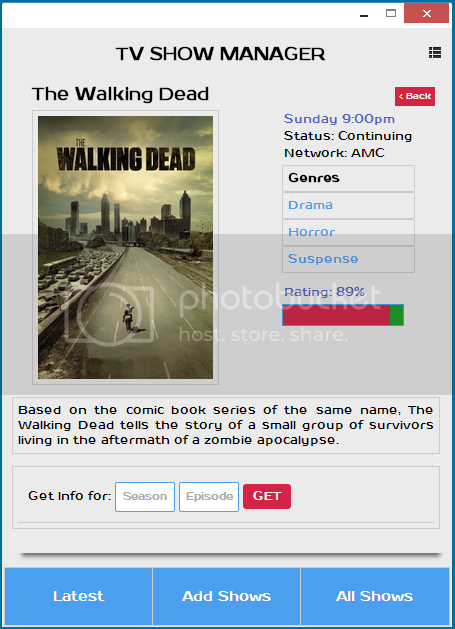 You can add as many shows as you want to the collection and find out detailed information about them, their episodes and premiers. Download the app here or on sourceforge. Open the settings page of Google Chrome. Then click on extension on the top left side. Then drag and drop the downloaded file on that page. Always be updated about next episodes and whats going to happen. Automatic check for update feature. Source-code of the app is available here. Liked the post? Subscribe to get notified of new ones.